UAF Backcountry Leadership Training Program – Apply Now! This exclusive summer program is for anyone, at any experience level, interested in gaining meaningful skills to become more confident and competent in the outdoors. The program will immerse you in a variety of outdoor opportunities within the great state of Alaska. In a five-week format, you will earn an assortment of valuable outdoor credentials, at least five college credits, and skills from a group of experienced Alaska guides and instructors. Ideally, students will complete this summer program and then, through the help of UAF recreation professionals, work within the Alaska outdoor recreation industry while completing their Bachelor of Sport and Recreation Business (BSRB) degree at UAF. This summer program can act as a starting point for students pursuing the BSRB; however, it is not limited to only BSRB degree-seeking students – anyone is welcome! This program is limited to only 10 available spots each summer, so don’t hesitate to reserve yours! For complete information and registration instructions, download the flyer. 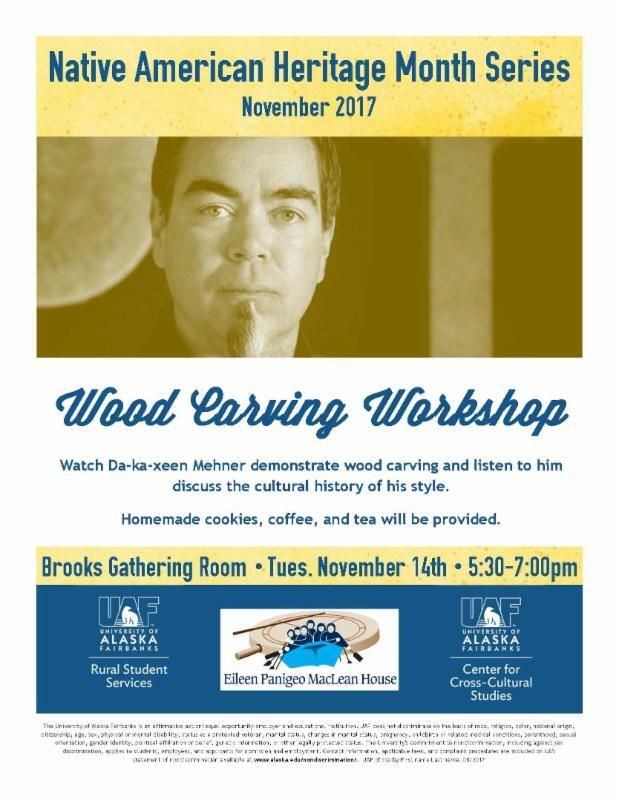 For questions or more information, contact Peggy Keiper at mkeiper@alaska.edu or (907) 474-5905. The University of Alaska Anchorage is offering three wonderful one-credit classes this Fall 2018. 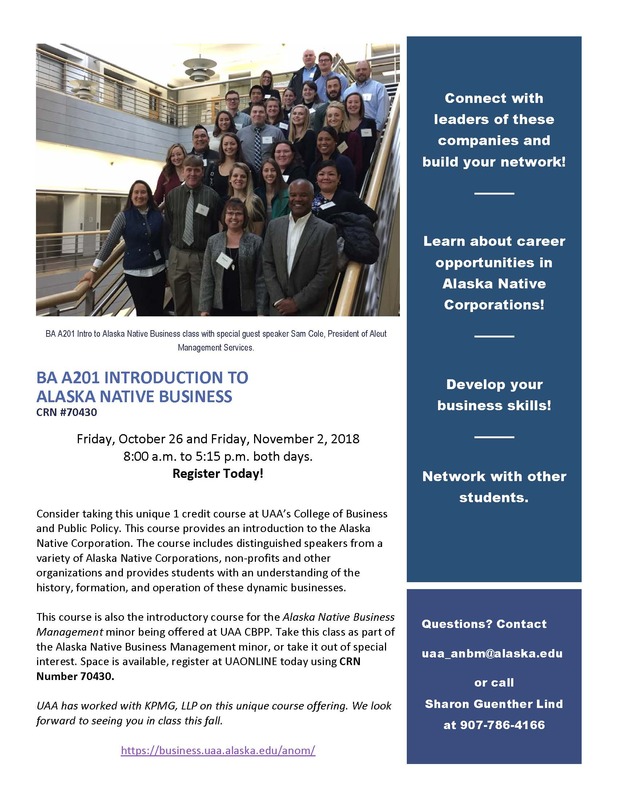 These are non-traditional, one credit course offerings within the Alaska Native Business Management minor at UAA’s College of Business and Public Policy. Boardroom Minutes is being offered in response to a request from the 2017 Alaska Native Corporation Board Member Peer Exchange. That request is being met through this class which will be taught by Mr. Phil Blumstein. ANCSA Land is being taught by Mr. Ethan Schutt again this year. Mr. Schutt will be addressing contemporary issues in 7(i) and resource development in his one credit class. 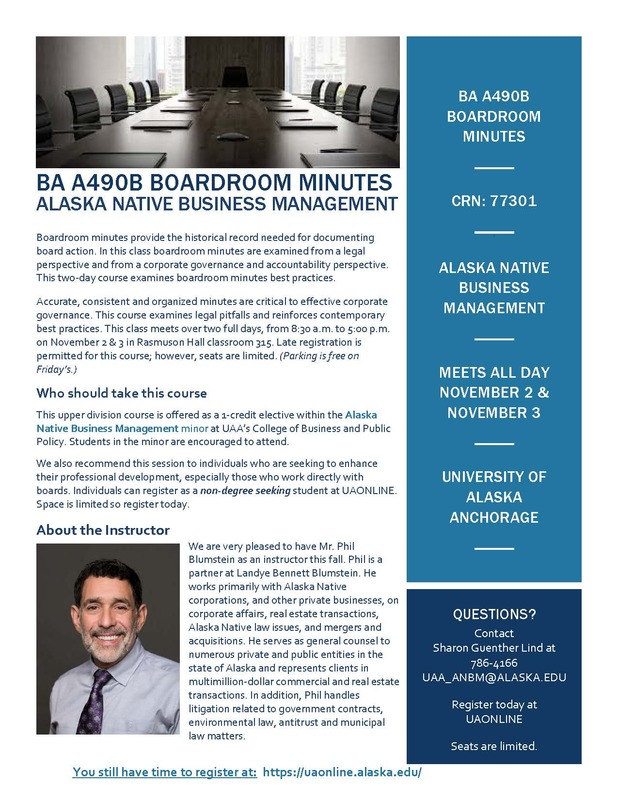 Intro to Alaska Native Business is a wonderful introductory course to ANCSA and the corporations it established. 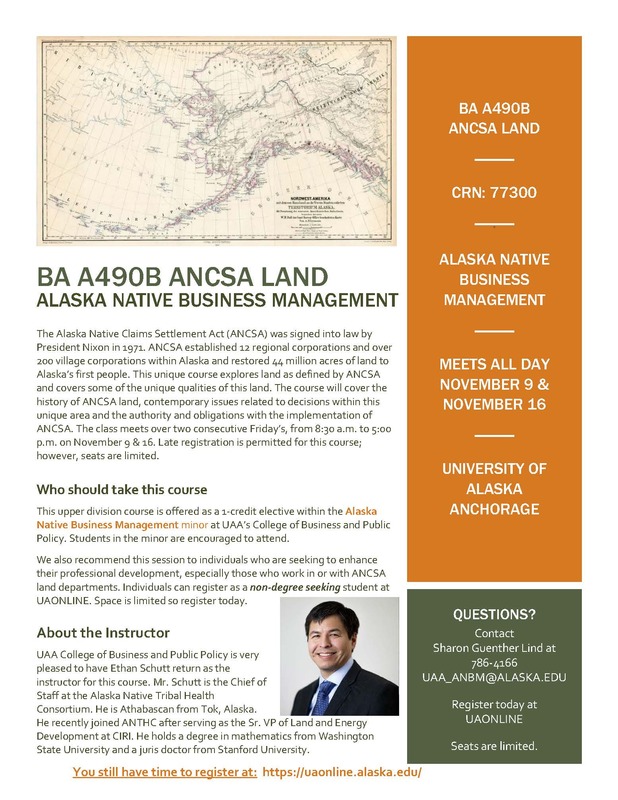 This class also looks at various fields within the Alaska Native Corporation. 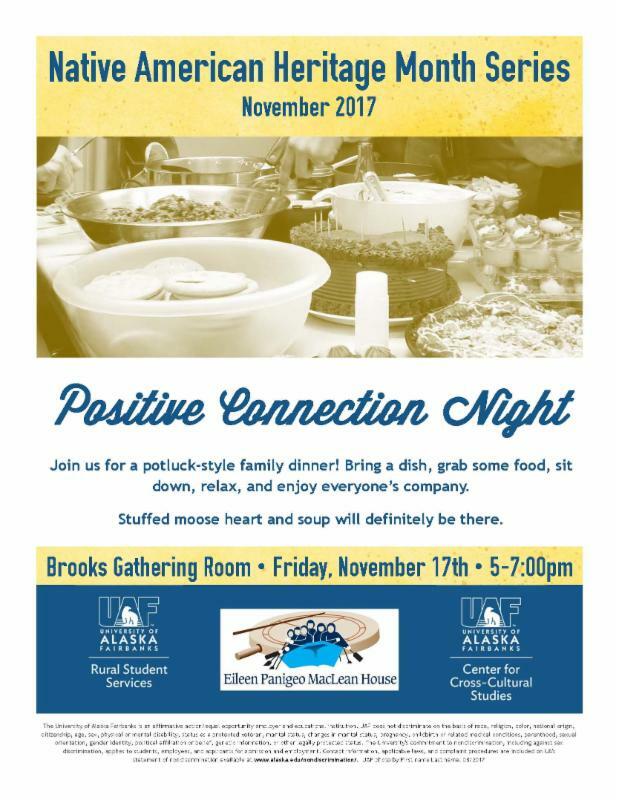 See below link for a flyer for more details or click HERE. 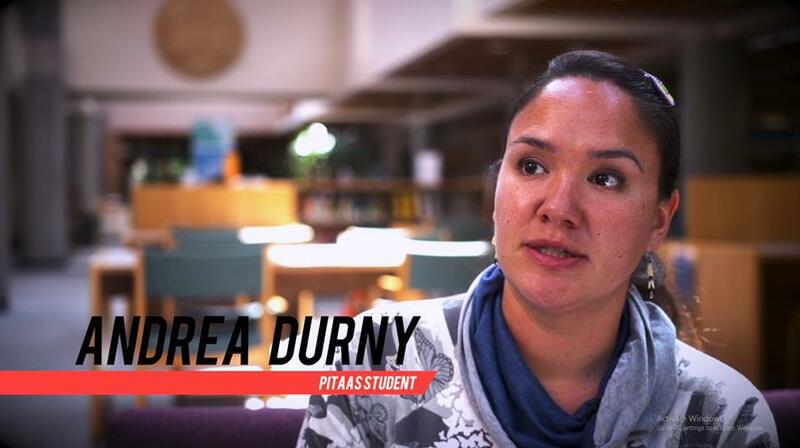 Below is a great article on the PITAAS program featuring our very own alumni, Andrea Durny! In Alaska schools, Alaska Natives make up 25% of the student body and less than 5% of the teaching force. PITAAS–which stands for Preparing Indigenous Teachers and Administrators for Alaska Schools–is a scholarship program with many services designed to meet its goals: more Alaska Native teachers and administrators in Alaskan schools. Eligible students are Alaska Native students with junior or senior standing enrolled in undergraduate Teacher Preparation Programs, post graduate Teacher Certification Programs, and Graduate Certificates, Endorsements and Master of Education (M.Ed.) Programs. The PITAAS Program can help you earn your education degree at the University of Alaska Southeast! 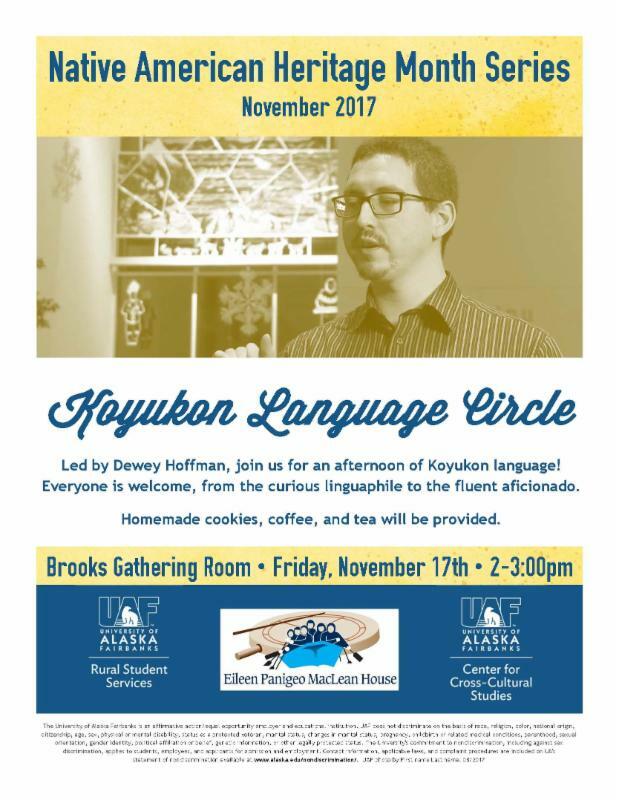 Sealaska Heritage Institute is a private, nonprofit founded in 1980 to promote cultural diversity and cross-cultural understanding through public services and events. The institute is governed by a Board of Trustees and guided by a Council of Traditional Scholars and a Native Artist Committee. Its mission is to perpetuate and enhance Tlingit, Haida, and Tsimshian cultures of Southeast Alaska.